The Santé Universelle // Marin Bikes' cycling team is proud to announce that Adam Roberge has signed with the team for the 2016 season. The cyclist, from Prévost in the Laurentians region, had an extraordinary season, becoming the Canadian Junior Champion in his first year road racing. Roberge, who had until now made his mark in mountain biking, won the national title in style, beating his breakaway companion during the final sprint. 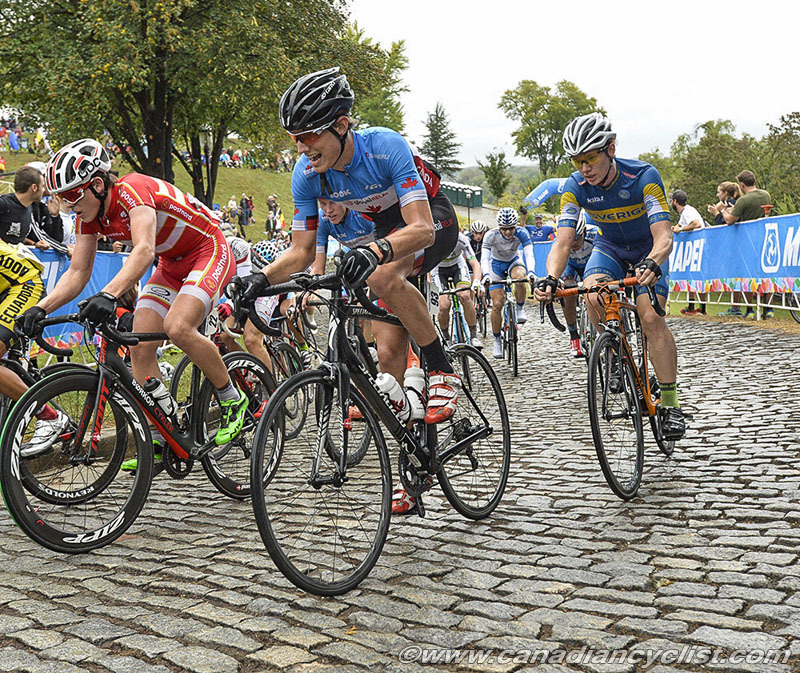 In addition, Roberge represented Canada at the World Junior Championships and participated in the Tour d'Abitibi Desjardin (2.NCup) as well as the Aubel-Thimister-La Gleize (2.1) in Belgium. Roberge finished 15th in the General Classification at the Ronde des Vallées (UCI 2.1) stage race in France. According to the director of team, Frederick Gates, Adam Roberge has a bright future ahead. He believes that Roberge can surprise many in the coming year. "He will be in his first complete year of road racing next year, he will only get better. With his determination and the support that we will offer him, we believe he can be successful in the U23 and elite ranks," said Gates. Founded at the beginning of 2015 by Frederick Gates of Gatineau. The team has had a very successful first year, both on the road, through their continued achievements in races at the provincial, national, and international levels. Santé Universelle // Marin Bikes hold a National level license granted by Cycling Canada. The team's mandate is to offer its athletes the opportunity to develop their full potential in a positive environment. The official name of the team for next year is not yet known. Further partnerships and roster announcements for the 2016 team will be released in the coming weeks.